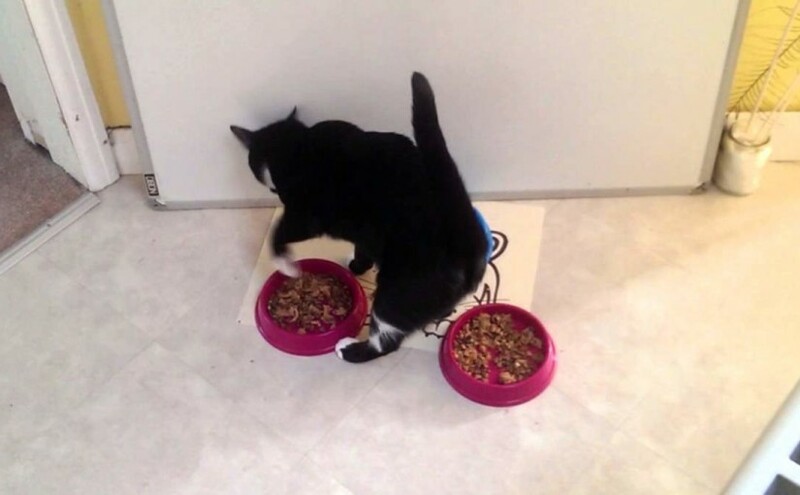 Has your cat ever pretended to bury her/his food? Even after eating it? Like they are burying their waste? Lotto usually do that, and I heard many similar stories from the other cat owners. At first, I thought she is doing that because of she didn’t like the food; but no, she is sometimes doing it after eating some. The other kitties at home don’t do that, except Leo (the number one Tuxedo): once, he temporarily returned back to home from his new owners. I sae he is doing the exact same thing, eating a part of his food, then pretending to bury it. It was definitely clear that he liked the food, so there must be another reason. And after some research, I learned that yes, there is another reason why cats pretend to bury their food. Cats are semi-domesticated animals. Their ancestors are African wildcats. 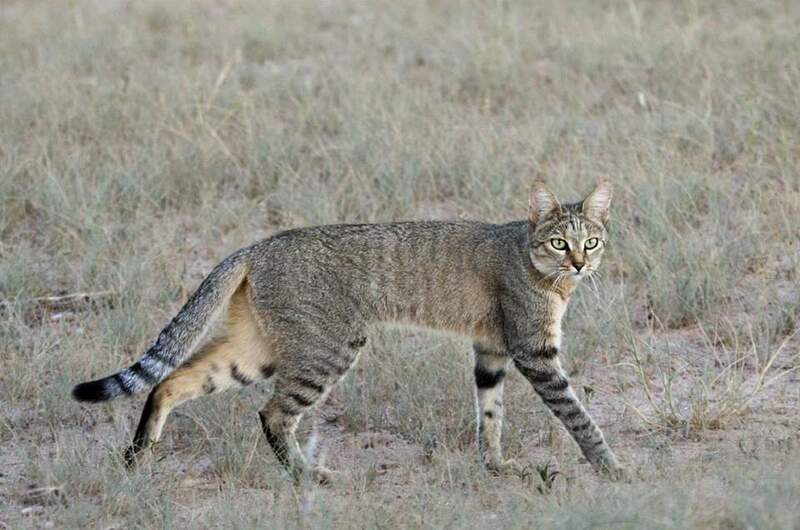 And if you look at a photo of an African wildcat, you probably think that they are almost the same animals. And yes, they really are. Cats changed so little, for example compared to dogs which evolved from wolf. 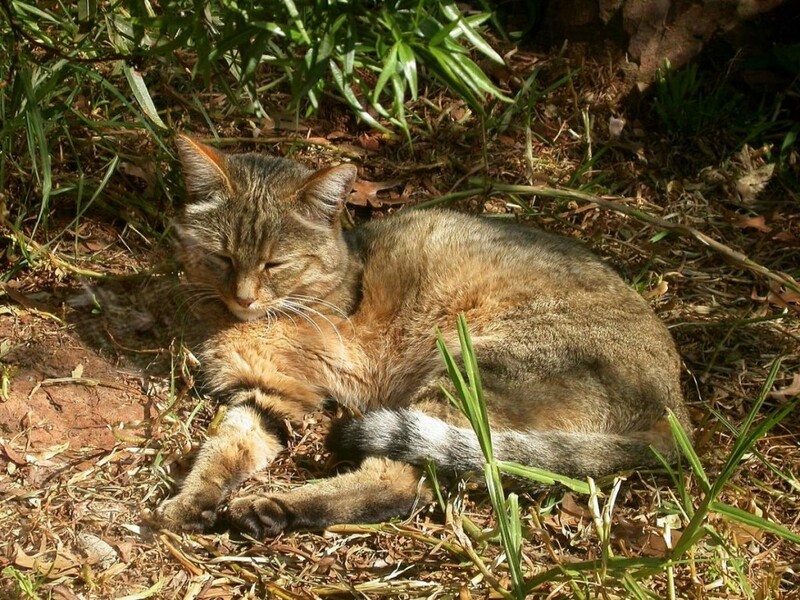 The domestic cat and the African wildcat are so similar that the African wildcat easily interbreeds with feral domestic cats. So, in the wild, a wildcat (or since they are almost the same animals, a domestic cat) may attempt to bury or cover any uneaten food in order to avoid attracting any predators to the area. It also is an attempt to not alert any other potential prey that a feline hunter is in the vicinity. Another question: is it possible they do that to able to eat the food later, when they are hungry? No – cats aren’t scavengers so they don’t bury the food to consume later – it’s strictly for protection purposes. Even an indoor cat who has never been in outside sometimes retains this survival instinct. n overall, it is totally a harmless behavior. You may consider giving your cat food in small portions. Watch the amount your cat typically eats in a meal, and next time, give her/him food in that quantity. Another option is, you can take away your cat’s bowl when s/he finished her/his meal. In fact, cats don’t like it if their food is open for a while because it loses its aroma. Take the food bowl up, clean any spills on the floor and leave fresh water available.